With more than 8,000 Coke machine restorations in his rearview mirror, Rick Dale is way beyond an expert when it comes to putting a spit shine on a rusty beverage dispenser. 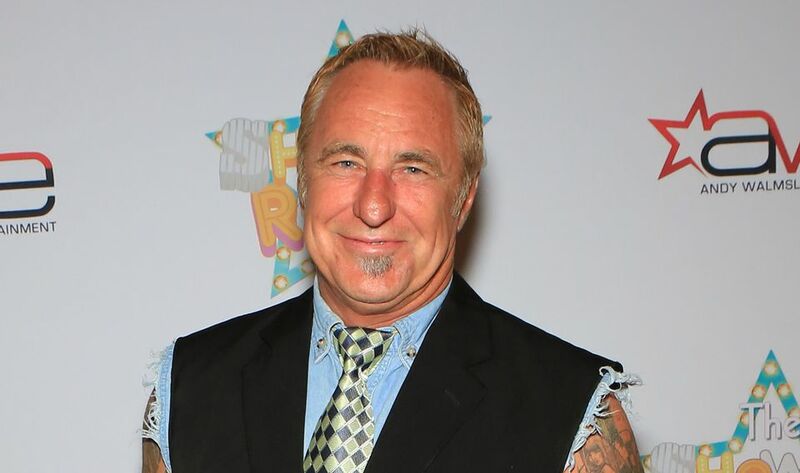 He’s done such a phenomenal job proving himself as the master of the metal renovation, in fact, that he starred in the History Channel television show American Restoration for more than five years. That break came after being "discovered" through his cameo appearances on Pawn Stars. Of course, you can’t help but wonder how Dale could be so enthusiastic about tackling all those broken down projects on a reality show. Was it all a put on? There’s no doubt that some of the “moments” on the program had to be staged – it makes for entertaining television. But Dale’s affable persona, dedication to his work, and love of "mantiques" played out on the show aren’t far from what you find sitting across his desk discussing his experience, motivation, and what he would restore if anything were possible. When he was 9 years-old, Rick Dale’s dad gave him an old bicycle to restore. His father believed in the pride that comes from a job well done and wanted to instill this value in his son. “When I’d ride that bike around the neighborhood, I was the happiest guy alive,” Dale told author Pamela Y. Wiggins flashing his famous smile. He worked with his dad to build a soapbox racer later, and from there he went on work on cars, motorcycles, hot rods, and eventually the Coke machines and gas pumps that got him into the business of restoring Americana through his Las Vegas, Nevada shop known as Rick’s Restorations. “It all just came together,” as Dale put it. Dale still sees his share of vending machines, including brands other than Coca-Cola, and gas station memorabilia come into the shop, but fans of his show know that’s not all he’s tackling these days. From giant rocket slides to bumper cars, the projects rolling into the shop from around the globe are continually amazing him, and some in not such a good way. The hardest project he’s seen so far was a motorized surfboard featured on American Restoration. “It took six months, and there were so many problems with it. But I did it,” said Dale with just a hint of exasperation. How Important is Maintaining Value When Rick Dale Approaches a Restoration? Personally, Dale tries not to get too attached to his restoration projects. He sees himself as a picker in the business of selling restorations that aren't commissioned by the original owners, many of which were featured on American Restoration in the past. An old Western style vending machine on display in his lobby along with a number of other restored pieces being offered for sale were some of his favorite projects ever. That Western vending machine has a price tag on it, but with a five-figure value he knows he’ll be hanging on to it for quite some time - and that’s fine with him. How Does Rick Dale Know How Much a Restoration Will Cost? When Rick Dale evaluates how much of an investment it’s going to take to bring an item back to life, believe it or not, those figures really are computed on the fly just like they were when he was on American Restoration. Given his vast experience, he looks at a project and knows almost immediately how many man hours it will take, the likelihood of having to fabricate replacement parts, and the materials needed to complete a job. And most of those figures he quotes are steep with reason, especially when a complete restoration is required. “We’re focusing on the look of a piece. First, we try to find an original part. If that’s not working, we try to buy another one we can use for parts. Finally, if we can’t get an original, we make it in the fabrication room.” Dale’s fabrication room consists of “vintage” machinery he’s bought at auction and other equipment he’s been able to procure. These machines help his crew manufacture parts very close to those originally used in the old stuff his team restores. “When it comes to whether or not it’s worth it, the price usually speaks for itself,” Dale added. He doesn’t like to tell anyone no because so many people are seeking those emotional restorations that mean so much to them. As long as folks are willing to pay the price, he’ll usually take on the job. What Does Rick Dale Think About DIY Restorations? Contrary to what you might believe, restoration pro-Rick Dale doesn’t discourage do-it-yourself projects inspired by his work on American Restoration. After all, that’s how he started out. He does encourage taking time to do things right and learning from your work along the way. He also cautions to be very careful when working beyond your skill set. For instance, he prefers to work on objects made of metal rather than working on old wooden furniture. "Wood is not forgiving. If you make a mistake, it’s over. And if you have to change things too much, the value is totally going down," Dale remarked. That doesn’t mean Dale won’t take on projects primarily made of wood, but most of those are pieces with mechanical workings, like the old radio shown here, rather than basic furniture pieces. With some fundamental skills and lots of patience, Dale feels it’s perfectly fine to approach a restoration project at home. "It’s not going to kill you. Just use some common sense." Research everything you possibly can about a piece before beginning a project, including the value in the present condition and if it were fully restored. Remember there’s a difference between doing haphazard repair work and a complete restoration. Use as many original parts as possible, original paint colors, and any other details pointing to authenticity that will lend to restoring an object to its original condition. Don’t give up, even when you get frustrated. Step back and start again when needed. Take as many photos as possible before, during and after to document a project. Make yourself a manual as you go along. What is Rick Dale's Idea of the Ultimate Restoration? The façade of his shop, Rick’s Restorations—which is really more of a compound for his restoration gang than a mere workshop – reflects his vision for the ultimate restoration. A filling station, five and dime storefront, and a movie theater with a marquee welcome fans as they drive into the yard. After seeing the work going on inside that shop, whether firsthand or recalling his television show, you can’t help but believe that if any one person could undertake to restore an entire historic main street to its original glory it would have to be Rick Dale. Visit the Rick's Restorations team on Facebook to see their latest projects and visit www.ricksrestorations.com to learn about visiting the shop in Las Vegas, Nevada.